“Repent, for the kingdom of heaven is at hand!” (Mt 3:1). The heartfelt appeal of the man that from his mother’s womb was selected as the precursor, resonates more than ever in our time. 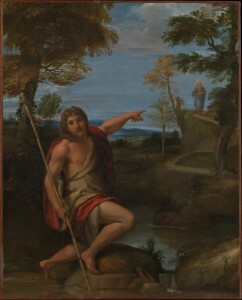 The one that would straighten the tortuous path and the wayward road of the people of Israel, is the luminous figure who the Fathers of the Church have identified as the ‘last of the prophets’, St John the Baptist.